Customer Management Centered Around the As-Built! Send the Job Pack to Your Techs! 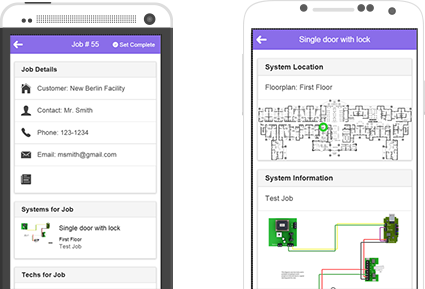 Realtime Mobile Access to Job Packs! Start your free, no-risk, 2 Week trial! 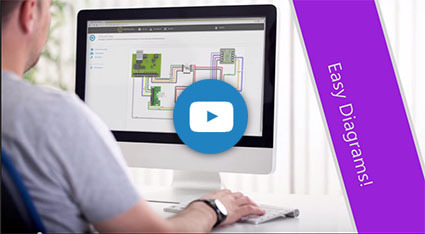 Create professional wiring diagrams with the easiest to use Wiring Diagram Software anywhere! Drag and drop the parts you need from our vast library of parts. 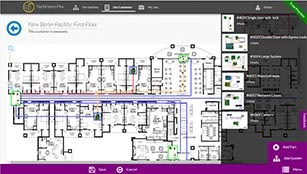 Add System Diagrams, Parts, and Wire Runs right onto your customers floorplans! Keep precise records of your customers systems and parts, and start easily supporting your customers. 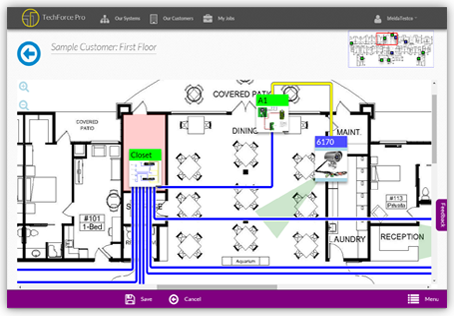 Creating a Service Call and sending a job pack out to your staff is easy with Techforce Pro. A few clicks and your tech will get the job pack on their mobile device. 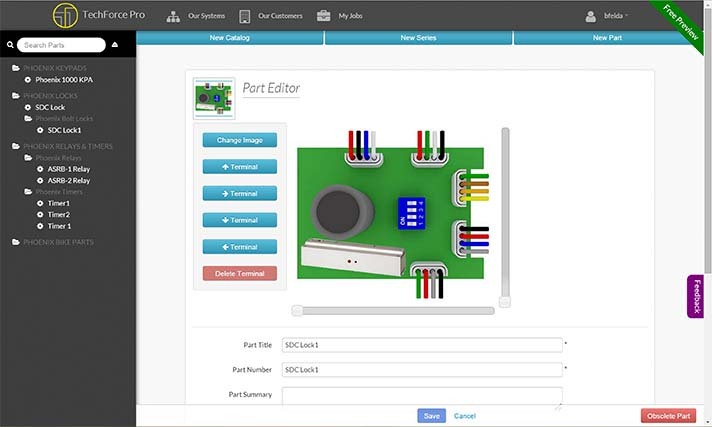 Techforce Pro is a tool made specifically for companies who configure, install and service low voltage systems. 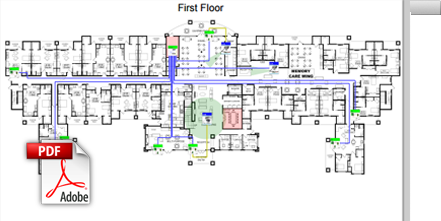 We provide the best wiring diagram creation software on the market today, and a way to manage your customers with focus on their floor plans and systems. TechForce Pro has help us stream line our day to day operations as well as improve our customer interactions without a huge investment. This is an easy to use system that allows us to transfer information from sales to quoting to install and finally to technical support. It has allowed us to create great looking and functional documents with minimal staff training. TechForce Pro continues to add more features based upon our feedback making it more powerful by the day! 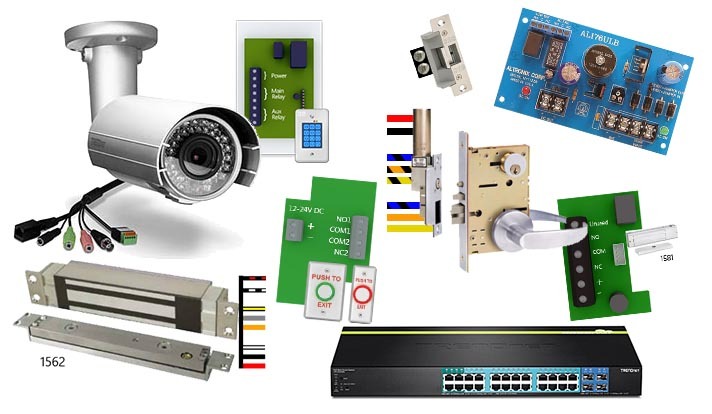 Techforce Pro is constantly updating the part library with the parts you use the most. If you can't find the part you need, contact us and we'll get the part ready for you within hours. 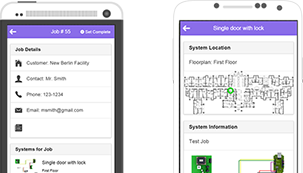 Ease the deployment of your techs with the Techforce Pro Mobile app. When you create a job for one of your customers, assign your techs to the job. Your techs will immediately receive the job contact information, the systems that need work, and where the systems are located in the building. Your tech can even complete the job through the mobile app. 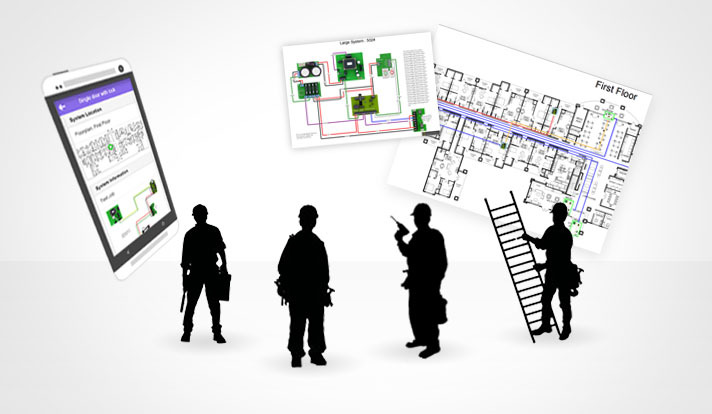 You have some users who will be modifying system diagrams, customer floor plans, and creating/performing service calls. But you also will have users who you just want performing service calls. These may be your service staff, or a third party. With Techforce Pro, you can create users with "Job Only" permissions. These users can only view jobs and service calls assigned to them. This can be done throught this website, or through the Techforce Pro Mobile App. Don't have pictures to make your parts? We can make professional looking parts for you sized just right for diagrams. TechForce Pro is designed, developed and owned in the USA and based in Mequon Wisconsin. 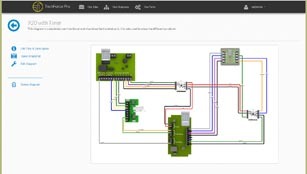 We spent most of our careers in the security system industry, and have seen far too much waste in third party CAD tools just for making wiring diagrams. There just has to be a better way, and were determined to make it.